The iPhone (commonly referred as the iPhone 2G), is the first smartphone model designed and marketed by Apple. 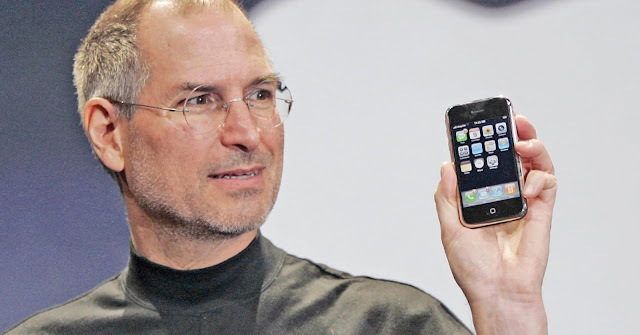 It is the first generation of iPhone that was announced on January 9, 2007 after years of rumors and speculation. It was introduced in the United States on June 29, 2007, and it featured quad-band GSM cellular connectivity with GPRS and EDGE support for data transfer. On June 9, 2008, Apple announced its successor, the iPhone 3G. The original iPhone has not received software updates from Apple since iPhone OS (now iOS) 3.1.3. Since June 11, 2013, the original iPhone has been considered "obsolete" in Apple retail stores, "vintage" by other service providers in the US, and "obsolete" in all other regions. Apple does not service vintage or obsolete products, and replacement parts for obsolete products are not available to service providers.